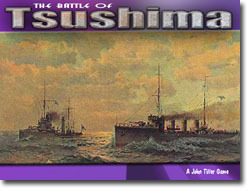 The wargames in the Naval Campaigns series cover campaigns in the Russo-Japanese War, World War I, and World War II. The game scale is continuous and real time. Units are at the single ship and aircraft flight level. For six months following its surprise attack on the American fleet at Pearl Harbor, the Imperial Japanese Navy (IJN) had dominated the war in the Pacific. But 4 June 1942 would see the tide turn, with three US Navy (USN) aircraft carriers waiting in ambush for the IJN near a tiny atoll whose name would become immortalized in history: Midway. By the end of that day, the Japanese would lose four fleet carriers, and the course of the war would drastically change. 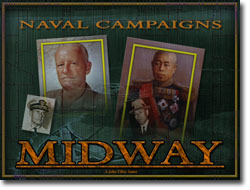 Naval Campaigns: Midway covers not only this action but also other major carrier battles of World War Two, including Midway, Pearl Harbor, Coral Sea, Eastern Solomons, Santa Cruz and Philippine Sea. Can you, as the fleet commander, sail your fleet and fly your air forces to victory, or will you be plunged beneath the deep blue waves never to be heard from again? 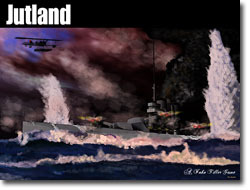 During the 1942-43 campaign for the southern Solomon Island of Guadalcanal, many naval battles were fought to cement the material advantage gained by the Allies after the stunning Japanese losses at the Battle of Midway. 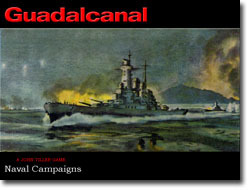 Guadalcanal Naval Battles includes these scenarios such as Savo Island--a costly Allied setback, Cape Esperance--where the Japanese were struck back hard, Tassafaronga, Cape St. George, Kolombangara, and others. The full range of surface naval warfare in the Pacific during World War II is addressed allowing you the chance to see how you might perform as either Japanese or American commander. At the end of May in 1905, after sailing halfway around the world, the Russian Baltic Fleet arrived in the Straits of Tsushima to do battle with the Japanese Imperial Navy. This battle would decide the outcome of the Russo-Japanese War at sea. The clash of Admiral Togo's fleet with the fleet of Admiral Rozhestvensky's would be one of the most decisive naval battles in history. The Fighting in the First World War had been going on for two years. Despite the fact that enormous ground combat had occurred during that time, the powerful naval forces of the world had not clashed in full force. But in May of 1916, that was about to change. The huge dreadnoughts of the English and German fleets departed from their ports to seek each other in the North Sea west of the area of Danish Jutland. In those misty waters, filled with uncertainty, the outcome of the First World War hung in the balance. Will the German fleet crush the English and obtain a German victory at sea or will the stronger English fleet prevail?